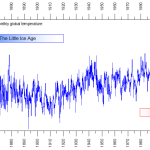 Penn State climate scientist, Michael ‘hockey stick’ Mann commits contempt of court in the ‘climate science trial of the century.’ Prominent alarmist shockingly defies judge and refuses to surrender data for open court examination. 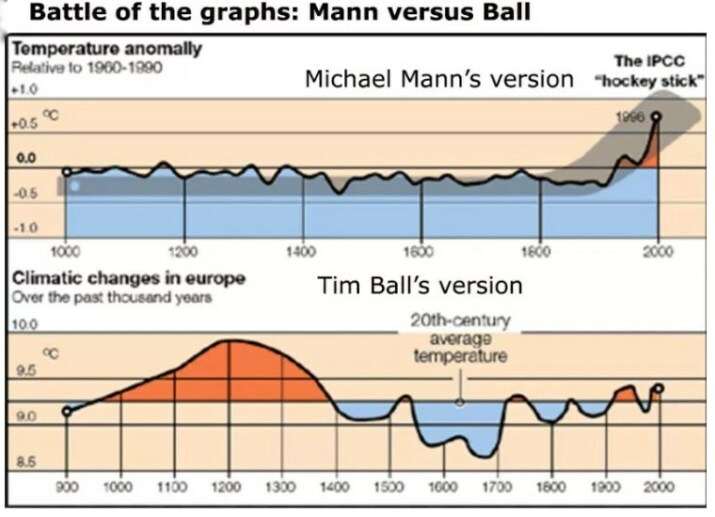 Only possible outcome: Mann’s humiliation, defeat and likely criminal investigation in the U.S.
As can be seen from the graphs below; Mann’s cherry-picked version of science makes the Medieval Warm Period (MWP) disappear and shows a pronounced upward ‘tick’ in the late 20th century (the blade of his ‘hockey stick’). But below that, Ball’s graph, using more reliable and widely available public data, shows a much warmer MWP, with temperatures hotter than today, and showing current temperatures well within natural variation. 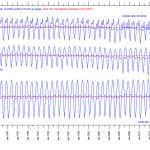 As first reported in Principia Scientific International (February 1, 2017), the defendant in the case, Canadian climatologist Dr. Tim Ball, had won “concessions” against Mann, but at the time the details were kept confidential, pending Mann’s response. The negative and unresponsive actions of Dr Mann and his lawyer, Roger McConchie, are expected to infuriate the judge and be the signal for the collapse of Mann’s multi-million dollar libel suit against Dr Ball. It will be music to the ears of so-called ‘climate deniers’ like President Donald Trump and his EPA Chief, Scott Pruitt. The spectacular rise and fall of climate alarmism’s former golden boy is a courtroom battle with even more ramifications than the infamous Scopes Monkey Trial of 1925. To much fanfare at the time, Mann had sued Ball for daring to publish the damning comment that Mann “belongs in the state pen, not Penn. State.” Dr Ball brilliantly backed up his exposure of the elaborate international money-making global warming scam in his astonishing book, ‘The Deliberate Corruption of Climate Science‘. In his books, articles, radio and television appearances, Dr. Ball has been resolute in his generation-long war against those who corrupted the field of science to which he had selflessly dedicated his life. Now aged 79, Ball is on the cusp of utter vindication. Despite the stresses and strains on himself and his family, Tim has stood at the forefront of those scientists demanding more openness and transparency from government-funded researchers. A bitter and embarrassing defeat for the self-styled ‘Nobel Prize winner’ who acted as if he was the epitome of virtue, this outcome shames not only Michael Mann, but puts the climate science community in crisis. Many hundreds of peer-reviewed papers cite Mann’s work, which is now effectively junked. 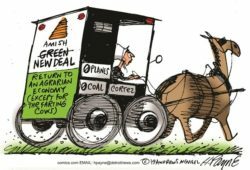 Despite having deep-pocketed backers willing and able to feed his ego as a publicity-seeking mouthpiece against skeptics, Mann’s credibility as a champion of environmentalism is in tatters. But it gets worse for the litigious Penn State professor. Close behind Dr Ball is celebrated writer Mark Steyn. Steyn also defends himself against another one of Mann’s SLAPP suits – this time in Washington DC. Steyn boldly claims Mann “has perverted the norms of science on an industrial scale.” Esteemed American climate scientist, Dr Judith Curry, has submitted to the court an Amicus Curiae legal brief exposing Mann. The world can now see that his six-year legal gambit to silence his most effective critics and chill scientific debate has spectacularly backfired. The perpetrator of the biggest criminal “assault on science” has now become clear: Dr Mann, utterly damned by his contempt of the court order to show his dodgy data. There can be little doubt that upon the BC Supreme Court ruling that Mann did commit data fraud, over in Washington DC, the EPA’s Scott Pruitt will feel intense pressure from skeptics to initiate a full investigation into Mann, his university and all those conspiring to perpetuate a trillion-dollar carbon tax-raising sting on taxpayers. With the scent of courtroom victory invigorating pensioner Ball, he reveals he is determined to go for a second such court win this coming Fall. Then he defends a similar libel lawsuit in Vancouver, filed against him by fellow Canadian climate scientist, Andrew Weaver. Dr Ball and his PSI colleagues are among those now calling for governments to set aside proper funding for ‘blue team’ scientists and experts skilled in critically examining claims made by so-called government ‘experts’ where they impact public policy. In the final outcome, these ‘devil’s advocates’ of science (or ‘skeptics’) are the best defense against waste and corruption. To that end, Australian Astronomer and entrepreneur Gregg Thompson has been crucial in providing resources that helped establish PSI as a registered UK charity devoted to this public service. PSI is urging more charitable donations from ordinary citizens to help further the cause of creating more ‘blue team/red team’ initiatives devoted to monitoring government science and prepared to bravely expose negligence and intentional misconduct on the public dime. Previous Previous post: More rational policies in our future?